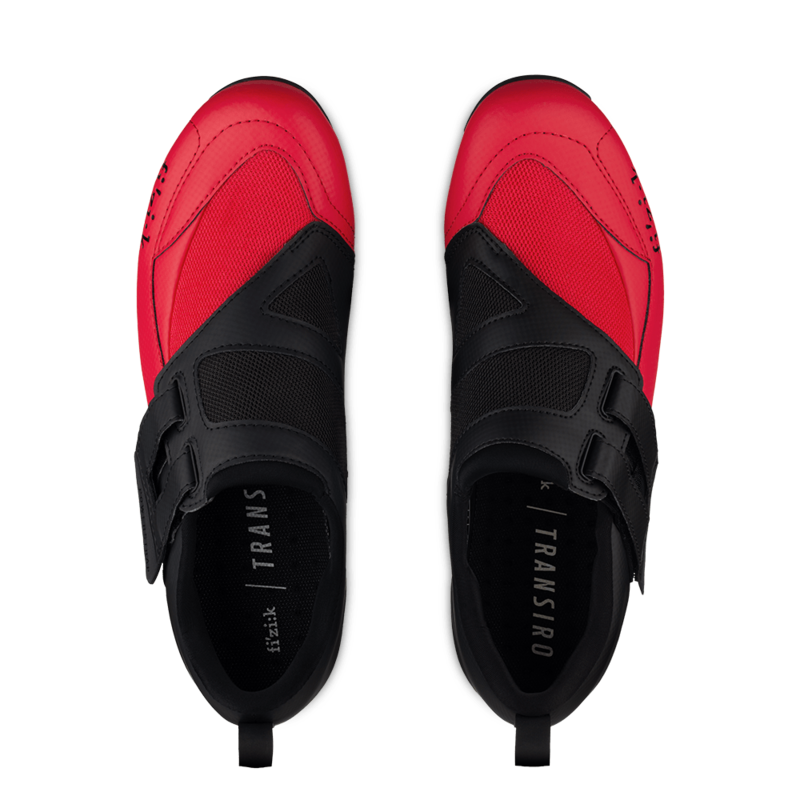 Just a few weeks ago we shared fizik’s Transiro Infinito R3 – at the time their latest and greatest tri shoe. Well latest it no more is – as this morning they shared their new Transior Powerstrap R4. Designed for the “most efficient transitions possible”. 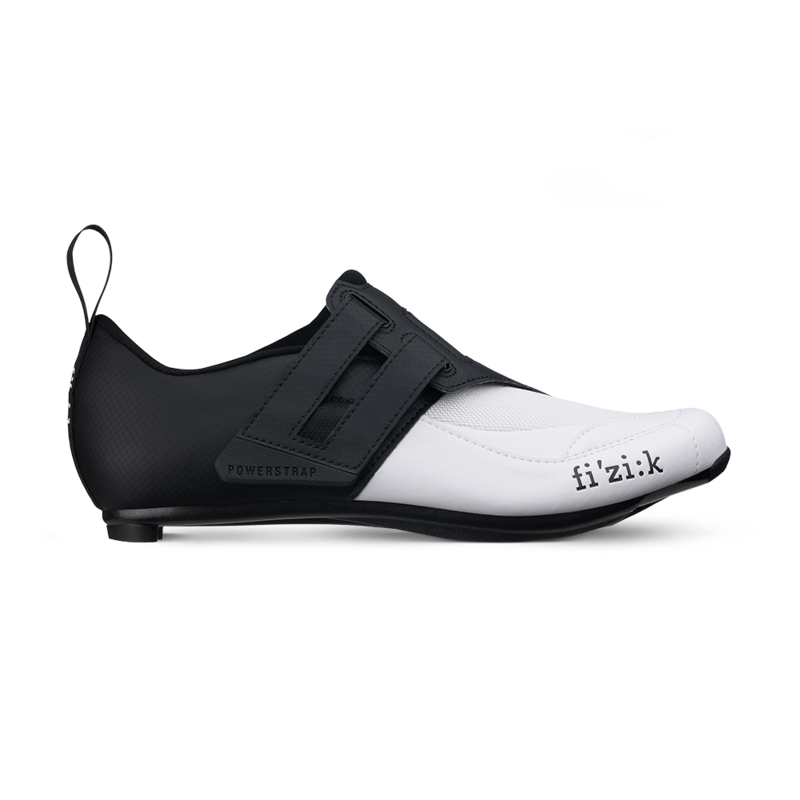 The Powerstrap R4 is fizik’s first triathlon-specific shoe featuring the new Powerstrap closure system: an extremely quick and intuitive to use, enveloping Velcro closure. fizik tells us the Powerstrap is super-quick to fasten (as one expects a Velcro enclosure). 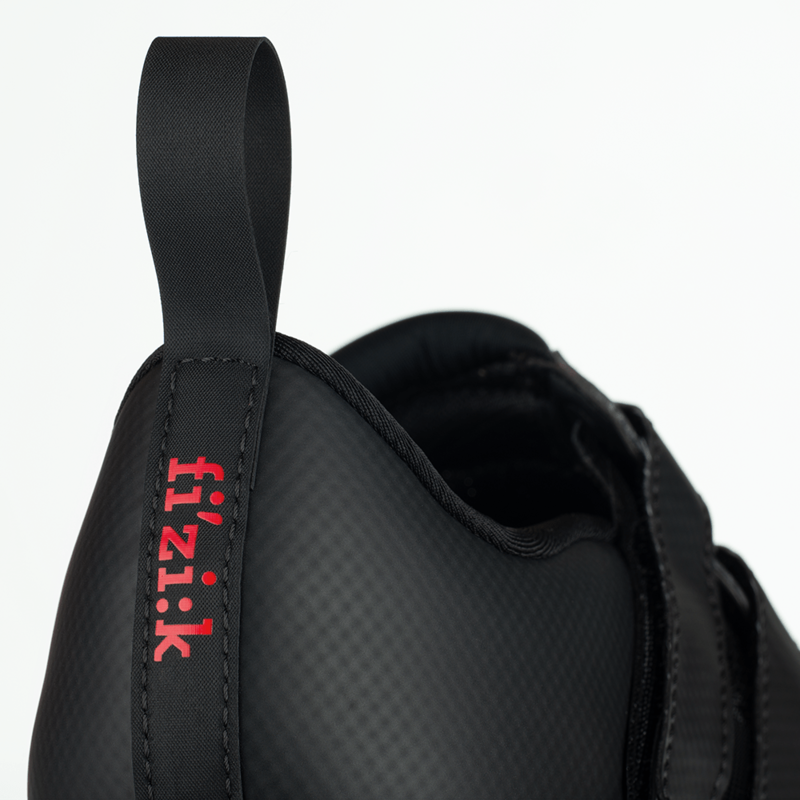 What we are interested in is the twin Velcro straps that are designed to pull an extended area of the shoe’s upper. Going with twin connected straps means you are going to get an enveloping and secure fit but also additional ventilation. For ease of transition, the Powerstrap can be locked in the wide-open position ready for quick and easy foot entry. 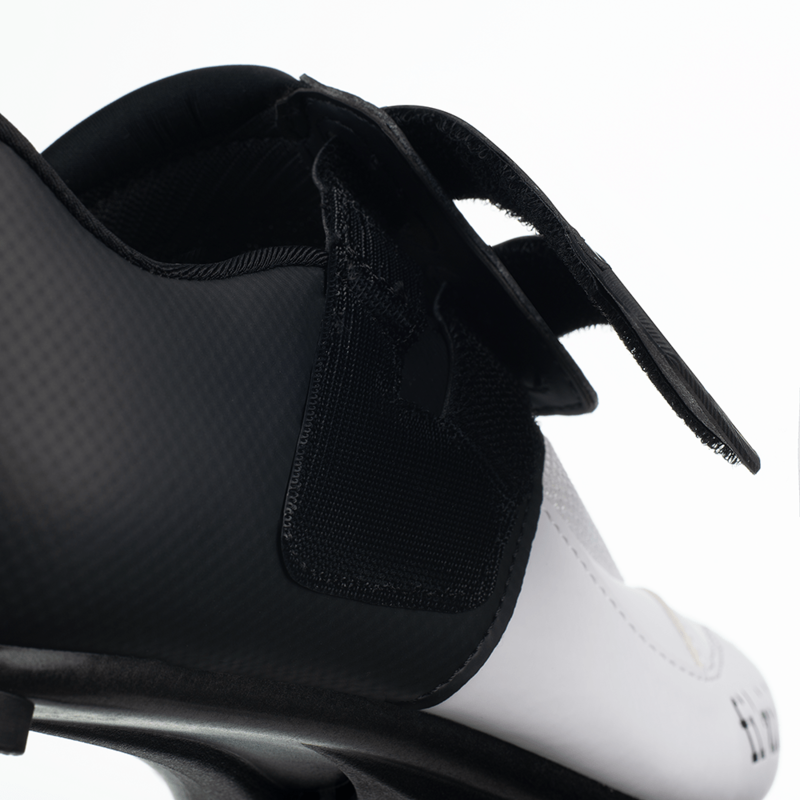 The heel has a rubberized loop for setting the shoes ready clipped into the pedals, and you can easily pull them onto your feet. The Transiro Powerstrap R4’s upper is constructed combining mesh – for superior ventilation – with Microtex, to ensure appropriate foot support in every pedal stroke. 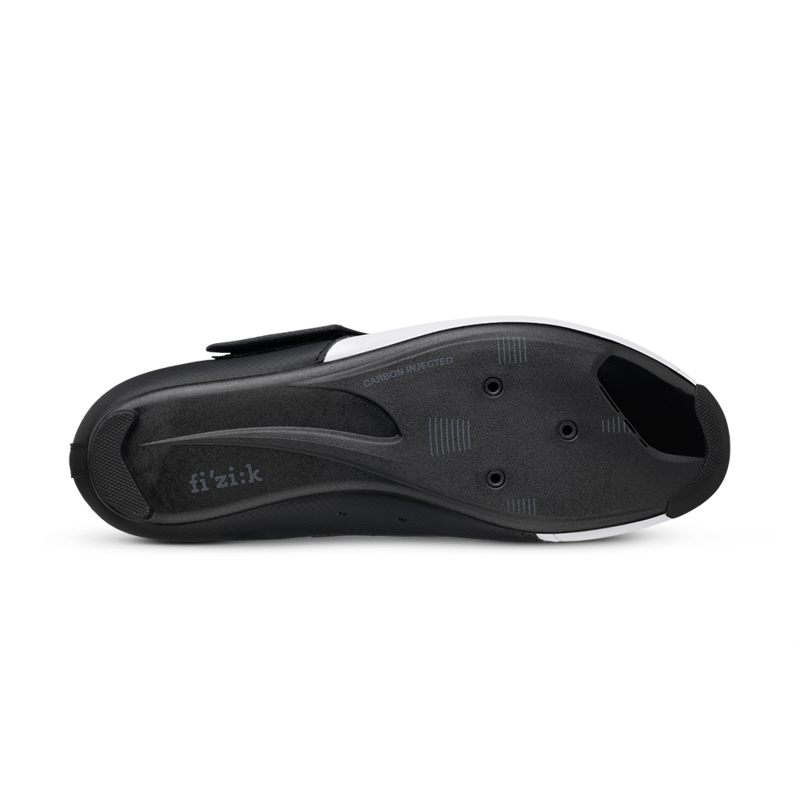 The outsole is R4 carbon injected nylon (not going to be as stiff as the Infinito). It delivers a balance between comfort and pedaling efficiency while still providing effective ventilation for temperature control. There also appears to be a large bottom vent to help water disperse after the swim. The Powerstrap is available worldwide now in two colorway options. In sizes 36-48 (37 to 47 also in half sizes). A size 42 weighs in at 508g. MSRP is €119.00 / $129.99 / £109.99. Having a solid shoe means not just the difference between a good time between T1 and T2 but also how quickly you can get through transition itself. While newer enclosure systems like BOA are being implemented – a solid Velcro strap design is still one of the best options out there. 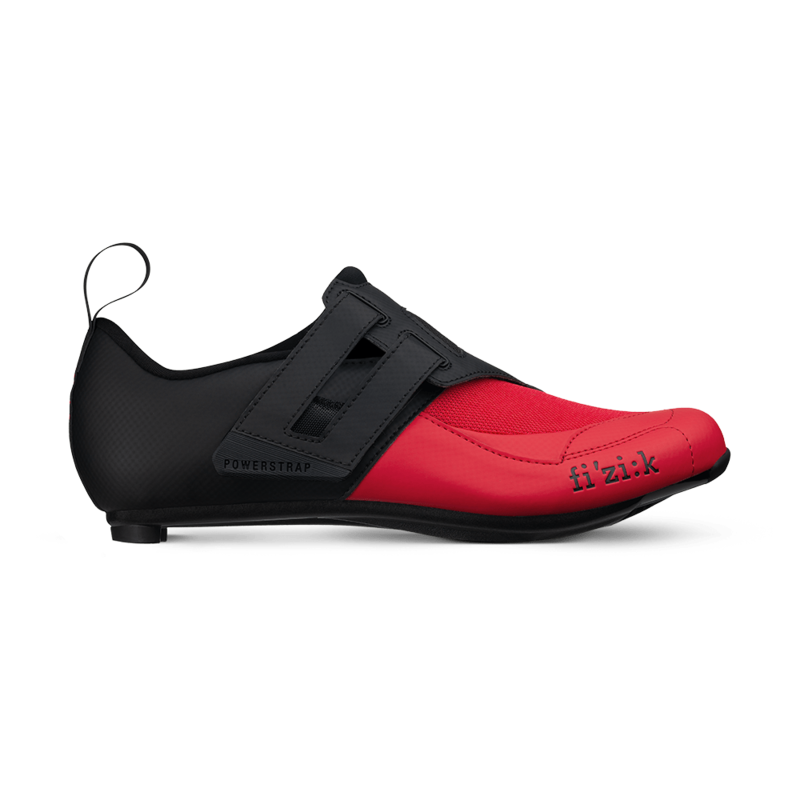 Combined with a quality upper and reasonably stiff sole, the Powerstrap could be a sweet spot shoe. And at $300 the Infinito R3 was always going to be a challenge on most athlete’s budgets. But the Powerstrap at $129.99 is a far easier pill to swallow. The only way to know for sure will be a long-term review – stay tuned to AeroGeeks.com to see if a pair of Powerstraps (and maybe some Infinitos as well) show up in the mail room in the coming weeks!